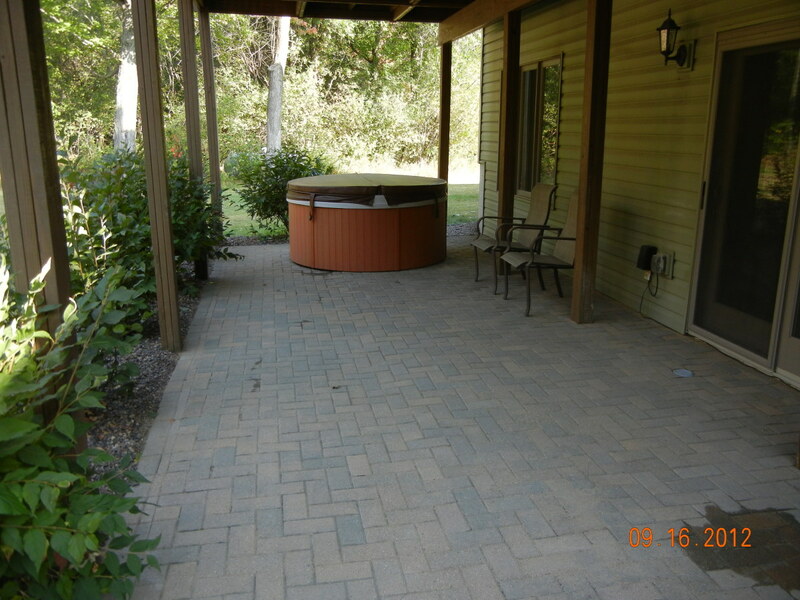 Six years ago, we had a beautiful 24x12 brick paver patio installed at our house. We had additional landscaping done also but the patio itself cost approximately $4,200 and took 2 men about 4 days to complete. Unfortunately, the ground has settled over the last 6 years and although our patio has never cracked, it began to sink and slope toward our foundation. That meant that any rain or water run-off would be settling near our house, rather than away from the foundation. We haven't had any water damage, but we have been lucky and had a couple of dry years in a row. Not wanting to push our luck, we decided to get an estimate for repairing the patio. We called a few landscaping and patio installers to find out how exactly what needed to be done to fix our settling issue and how much it would cost. 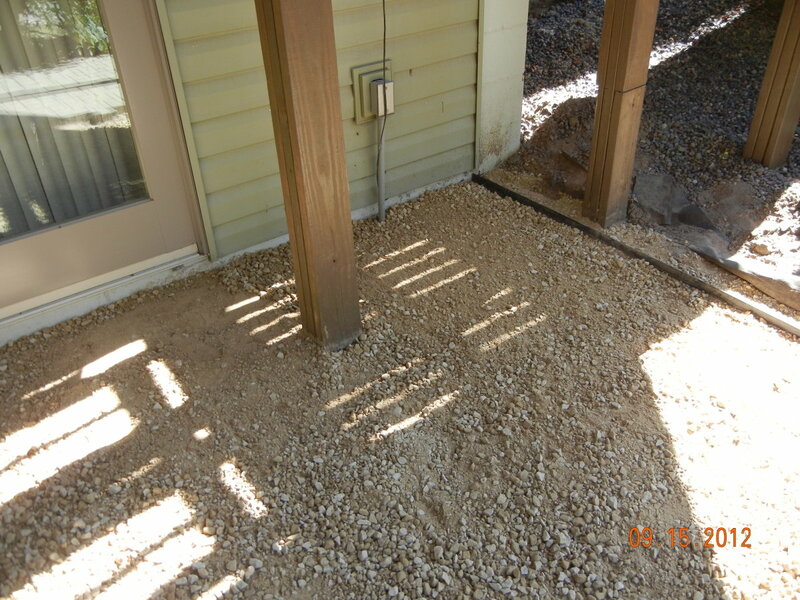 The professional assessment was that we would need to pull up the 8 feet closest to our house, add some additional gravel/sand to build up the ground-level and then relay the paver patio bricks down again. The great thing about using bricks instead of cement, is that you can reuse the exact same bricks. 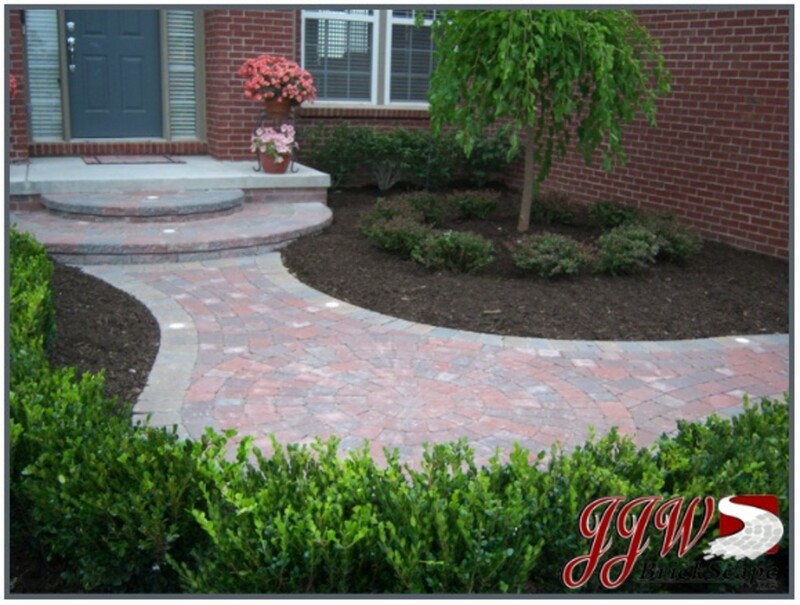 They will still match the other 4x24 feet of brick exactly and you do not have the expense of buying new material. We figured this couldn't cost very much, but we still volunteered to pull up the bricks ourselves, to save the expense of that manual labor. Even taking that into account, we were shocked to get estimates of $1,500 dollars! We are not the most "handy" people, but this was more than we were willing to pay. We decided it couldn't hurt to try to do it ourselves! As it turned out, we are actually very happy with the results of our first DIY project. The materials were less than $100 plus our own very cheap (as in free) labor. It was a grueling day, but we managed to complete the task in 10 hours and save ourselves $1,400 dollars. Bricks pulled up from our patio and placed in our backyard till we were able to "re-install" them. 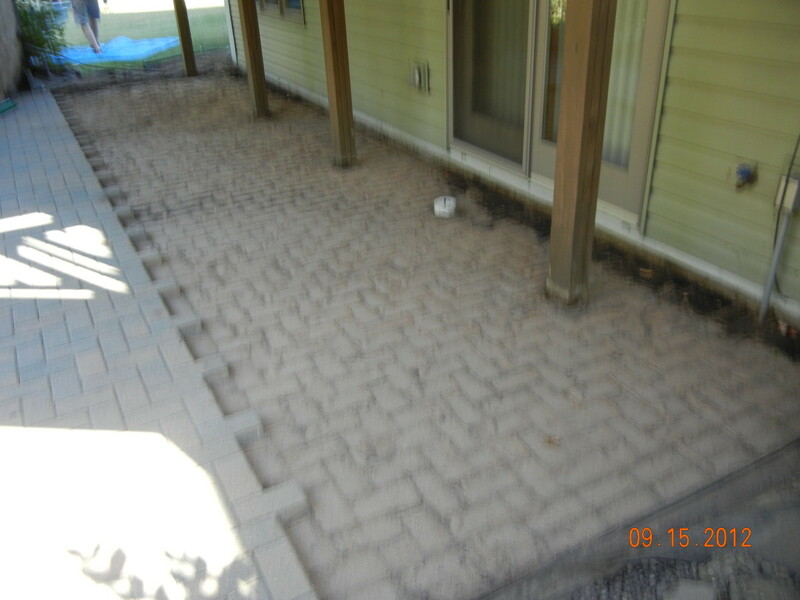 The first step in repairing our patio was to pull up the paver patios bricks. That turns out to be extremely easy. The free-standing blocks are just laid next to each other in whatever pattern you have selected. Then, instead of being cemented into place, a polymer sand is swept in between the bricks and forms a "glue" made of sand. We started on the edge and pulled up the first couple bricks. After that, it was very simple. Each brick was connected to each other only by the sand, so they came apart really easily. We stacked the bricks onto our grass in a similar pattern, just so we would remember where to put the bricks back when we were done! This what was left after we pulled up the bricks. That is just sand. We spread the gravel and then tamped it down to make it flat. 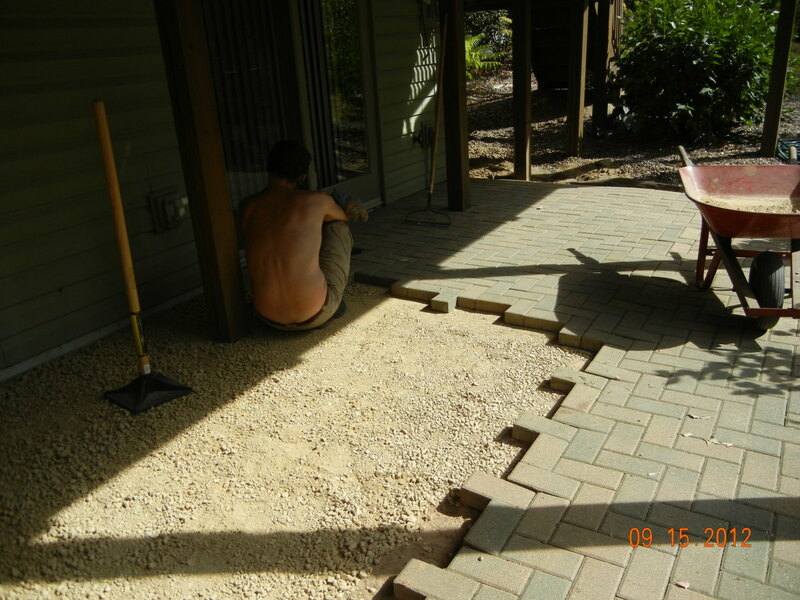 Once we had pulled up all the bricks, we needed to add a layer of gravel or sand to raise the patio up about 1 1/2 inches that it had settled over the six years. We chose to use gravel because we thought it would be easier to work with than sand. We went to a local landscaping place and found out that a truckload of black dirt, gravel or sand was all the same price. $32 for a truckload of gravel. We weren't sure how much we would need, but at that price were didn't have a problem going back for more if necessary. One truckload, however, was perfect for filling the 8x24 space we needed. The only equipment we needed was a wheelbarrow, shovel, rake and a hand tamper. All those things are pretty common, except for the last item. We happened to have a tamper (don't ask me why, I have no idea) on hand. If you needed to buy one, however, it would cost you about $30 at your local hardware store or big box. We started shoveling in the gravel and then raking it across so that it was more evenly distributed. Once we had a good layer across the whole 8x24 area, we used the tamper to compact it down and make it flat. Then we checked to make sure we had raised the level of the ground high enough to get rid of the slope. We could have used a leveler, but instead we just "eye-balled" it. Since the brick originally fit right under the siding, we knew that was the level we needed to raise it to. We could have added some additional sand on top of the gravel, but we opted to skip that. If we had chosen to do that, it would only have cost an additional $32. We just didn't find it necessary and sand is a little more difficult to work with than gravel. laying the brick, like putting a really easy puzzle together! Putting the brick back in place, turned out to be a very easy task. The step PRIOR to laying it back, is one that could have probably been done more efficiently. Although pulling up the brick was easy, the bricks still had some sand attached to the sides. We didn't want any of the sand left on the bricks, because they would not fit back together as nicely if there was old sand still clinging to them. Wearing work gloves, we rubbed each brick by hand and the sand fell off with some brisk vigorous rubbing. Cleaning 5 or 10 bricks would be no big deal. But cleaning several hundred (maybe even a thousand, I didn't count) was very time-consuming. We estimated that cleaning the bricks added another 4 hours to the total time. We thought about just hosing them off, but then we would have had to wait for them to dry and since the sand was polymer sand (like a glue made from sand) we were hesitant to use water. What we did worked, I'm just saying be prepared to spend a little time on that step! We placed the brick back down onto the tamped gravel, making sure to follow the original pattern. We didn't lose a single brick in the process and of course, we had the exact amount we needed. Add the polymer sand after you finish laying the bricks. The last step was adding the polymer sand. 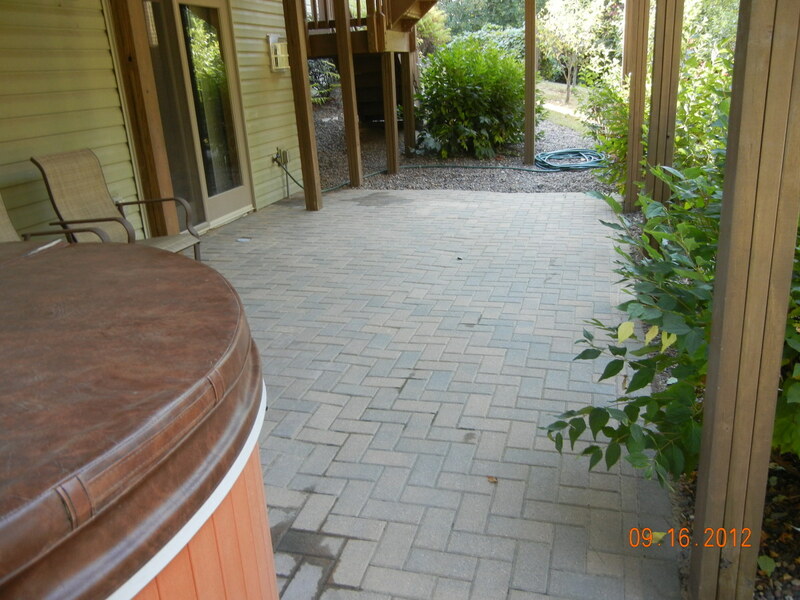 Although the patio looked great, you need it to stay in place. You also don't want any weeds or grass growing up between the bricks. You do this by using polymer sand. We bought 3 fifty pound bags of sand at Menards for $10 a piece. You pour the sand out onto the patio. This is a really fine sand, so lots of dust. It is not toxic and will not harm you, but I still recommend wearing a dusk mask or at the very least, I wouldn't be singing while you work...unless you like to eat sand. And that is a different story. 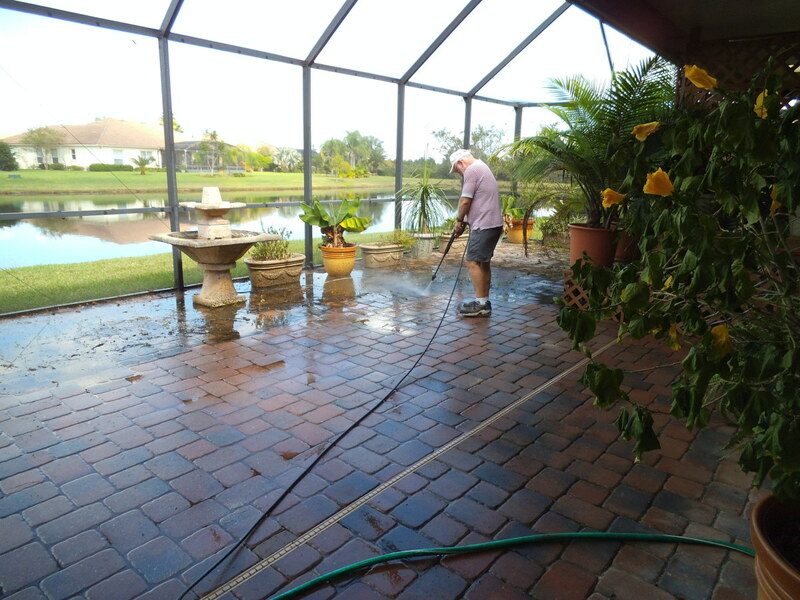 After you have poured it onto the patio, you take a broom and sweep from one side of the patio across to the other. The sand falls into the cracks and crevices in between the bricks. Keep sweeping until the crevices are filled up and it is even with the bricks. Then sweep any extra sand off the side of the patio into the grass. Do NOT leave any sand on top of the bricks. Last, but not least, you take a hose and wet the patio down. The water soaks into the polymer sand and creates the locking agent (like glue) to form. The brand we used asked us to wet the patio down 3 times, ten minutes apart. Make sure you don't over-water! You don't want to wash the sand away, you just want to dampen it. Adding the sand was the last step. The total investment in materials for us was under $75 dollars. It took 2 of us nearly 10 hours and our muscles were really sore for a couple of days...but we saved $1,400 and we were really proud of ourselves. It looks great! 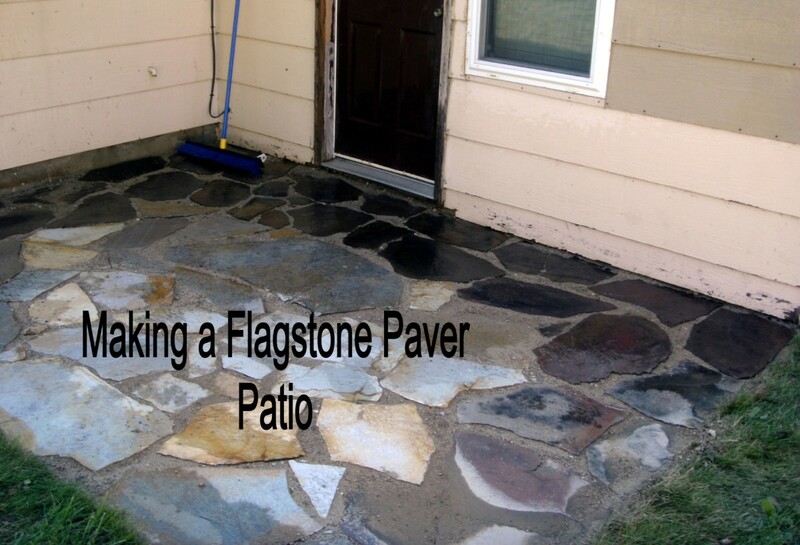 We feel so confident that we now think we could build our own patio from scratch next time. Okay, that might be pushing it--but we would probably be willing to at least consider it. Seriously, if my husband and I can do this, so can you. Save yourself the money and do-it-yourself! Completed in a day and under $100 dollars. Do I have to use gravel or sand? Can I just place bricks over dirt? The bricks are "floating" on the gravel/sand so that they can move around slightly, but still stick together with the binding sand. If you just laid the bricks on dirt, they would not be connected together. 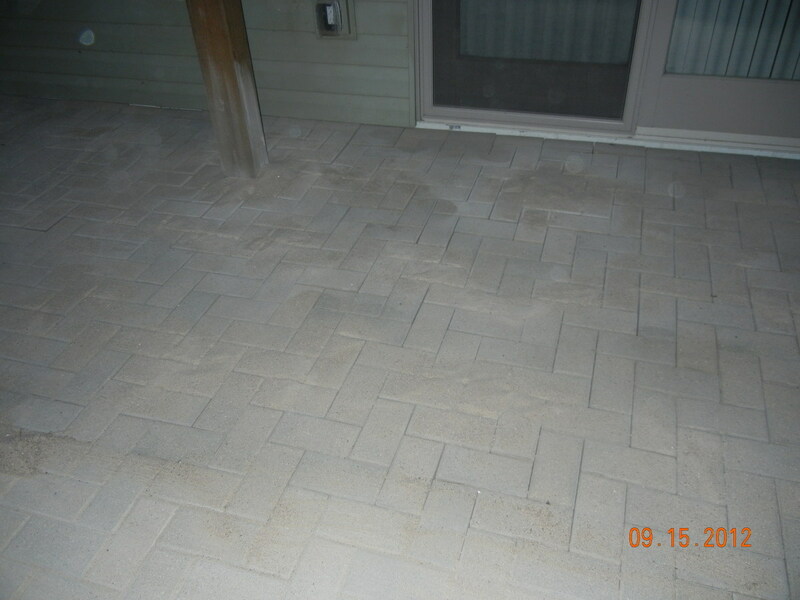 Where do you get the material for fixing your brick patio so cheaply? Check out places like Home Depot or Menards. Also, your local landscaping centers often sell the materials in bulk, so you can fill up the back of a pickup truck with the materials you need quite inexpensively. This is a really nice tutorial. It is very easy to follow. I also found another tutorial at Anthony Lee Rogers' website (http://www.anthonyleerogers.com/ ) which I also find very educational. Thanks! I used pressure treated 1"x3" wood to create my edging around the brick and held them in place using 2"x2' iron rods. It looks 100% better! Wow! This is very impressive and looks like you did a great job! We have pavers in the back and this hub will come in handy when we need to replace them. Thanks so much! Thank you Jools99. Really, if it was simple enough for my husband and I to do, I'm sure just about anyone could do it! I'm not a typical DIY'r, but it really would save you a lot of money...Thanks for stopping by and commenting! Very useful article. We are considering redoing our back garden patio - it is sloping in a number of places due to a rabbit we had who dug warrens under it (not one but many!!!). You have made me realise that with a bit of know how, patience and the right gear, we could do this ourselves. Well Done on a great job! Thanks! It really wasn't all that hard, considering the "skill" level that we were at--which was definitely novice or beginners. But, I will admit my muscles ached for days! Thanks for your comments. You and Hubby sure were brave to undertake this project! I'm pretty handy around the house, but I don't think I could have done this. I built a little area in my yard about 10X10 feet using concrete stones made from a mold. They cracked terribly. I finally just took them up! Thanks alocsin! Yes, we stayed away from the concrete since we didn't want it to crack if it settled to much. I think laying concrete would be a useful skill to possess also! A nicely done moneysaver. 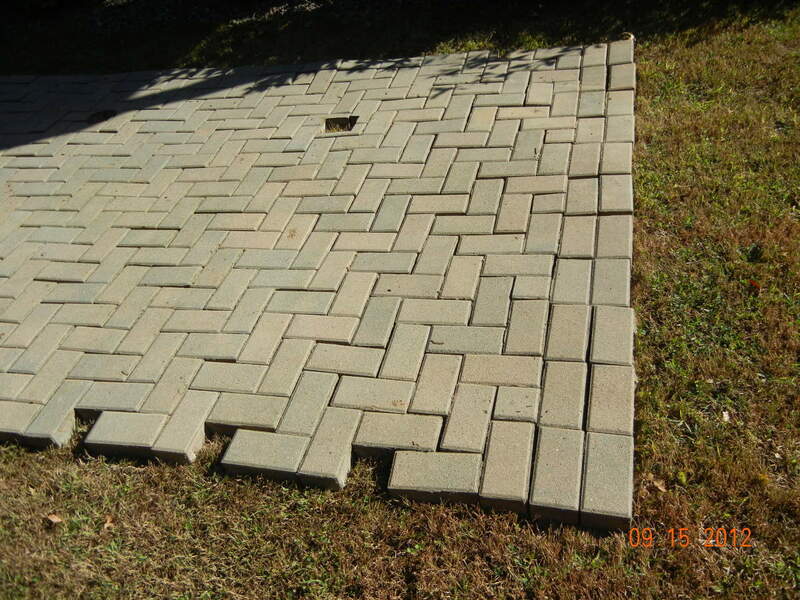 One advantage of a brick paver patio, as opposed to our slab patio, is that the former doesn't crack as much, and if it does, it's easy to replace a cracked brick or two. Our slab has several cracks in it. Voting this Up and Useful. I'm not sure how I missed this, but I'm here now. Very good instructions! I have actually done this and your tutorial is right on and just detailed enough to keep someone from having any problems. Good job! Thank Julie! I appreciate your feedback. Wow. This was a great little tutorial. I hope this article does well for you. Great photos and explanation.